Me and the TC were in San Francisco over the weekend. 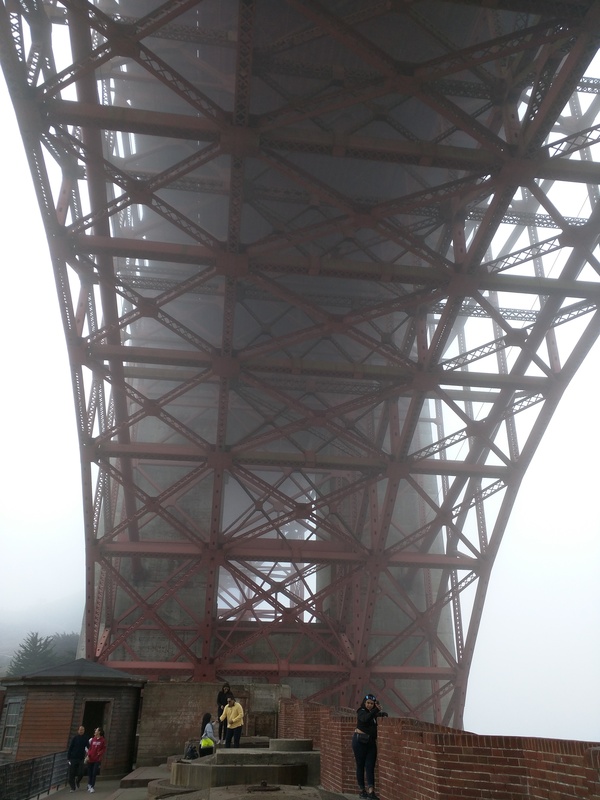 We took a stroll under the Golden Gate Bridge in the fog. My impressions? Bleak, booming, bulky, brrr. Search for the Star Stones, by André Norton. A paperback volume combining two books: The Zero Stone, and Uncharted Stars. This worm loves a good Sci Fi yarn! 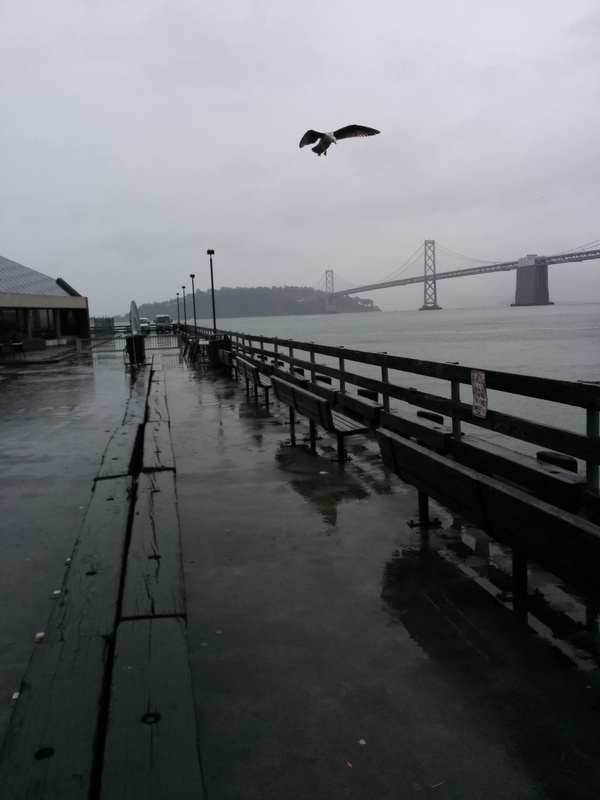 Always have warm clothing with you when in San Francisco, even in summer time. The TC, bless her cotton socks, paid a flying visit to San Francisco yesterday. It was a trifle wet. 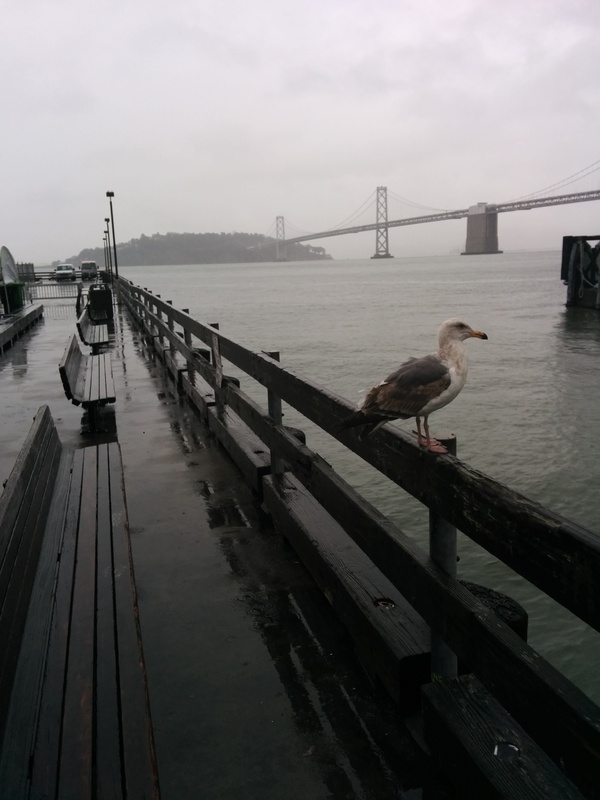 The San Francisco-Oakland Bay Bridge faded poetically into the drizzle. This is the blog of Mark Wordsworm, the travelling worm. I’m a 25-year-old bookmark and can proudly boast my own Hallmark serial number, 95 HBM 80-1. You’ll probably want to read all about me and my Travelling Companion (the TC) . Me and the TC are back in San Francisco for a flying visit. The TC is working here for a week, so this worm has tagged along as usual, keeping her book warm and generally looking after her. Today, Sunday, is her only day off on this trip. So we all got in to a Smart Car and drove over the Bay Bridge, to see what happens outside San Francisco. My impressions? 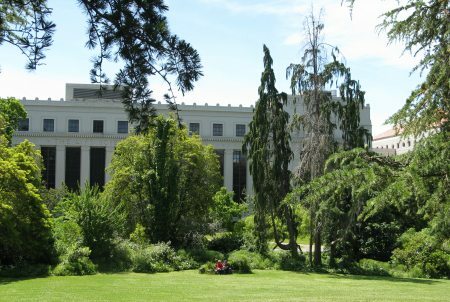 Oakland and Berkeley are worth the drive, if you have time on your hands, if only to see the Bay Bridge and the view of SFO from the other side. Smart Cars are larger inside than you may think. Pakwan restaurant, corner of O’Farrel and Jones streets, San Francisco. Quite outstanding. See photos and words below. Gone Tomorrow, by Lee Child. The TC hasn’t had much time for reading, so I’m still stuck in the same book as when I wrote my previous post. No matter. I’m quite attached to the book! The Pakwan restaurant is on the corner of O’Farrel and Jones streets, San Francisco. It offers “Pakistani-Indian authentic cuisine”. The space itself is not all that impressive, but the food is simply delicious. The price is very reasonable too. The TC got it into her head to drive an open-top Mustang down Highway 1, the coastal route from San Francisco to Los Angeles. Actually, it was the TC-once-removed who put this idea into the TC’s head. Reluctantly I have to report that the TC got a bit carried away with the whole experience and left me cooped up in her bag much of the time. I didn’t even have the chance to get cozy with the pony (that’s what we aficionados call a Mustang) although I had been eagerly anticipating that photo opportunity. Still, the TC did give me an airing every now and then, so I can report some highlights of the trip. My impressions? The drive to Los Angeles is just beautiful. LA is a dump. Drive on by. If you can, spend a few days on the drive. There’s much to do and see. Here’s another tip from a wise worm: Invest in a GPS. Don’t rely on your TC. If she’s anything like mine, you’ll get lost and end up seeing the, ahem, interesting parts of town. En route from Santa Barbara to Santa Monica, we encountered Oxnard, Port Hueneme and Sod Farm. Lucia Lodge Restaurant, perched on a cliff overlooking the ocean at the southern edge of Big Sur. Monterey Plaza Hotel & Spa, 400 Cannery Row, Monterey. Even the TC, bless her cotton socks, deserves a touch of luxury every now and then. But be warned, it’s pricey. Moonlit Cage, by Linda Holeman. Highly recommended. This worm felt homesick when the TC finished reading The Linnet Bird, by the same author, so I’m glad to be ensconced in another of Linda’s works. Further along the road, you can get up close and personal with more elephant seals. Malibu is luxury with a road running through it. Can’t visit your neighbours, for fear of getting run over when you cross the road. Can’t get anywhere without a car. As we approached from the north the TC chirped, “I could live here!” Then Malibu went on and on and on and this worm is pretty sure she changed her mind. Not that the TC would admit such a thing, of course. 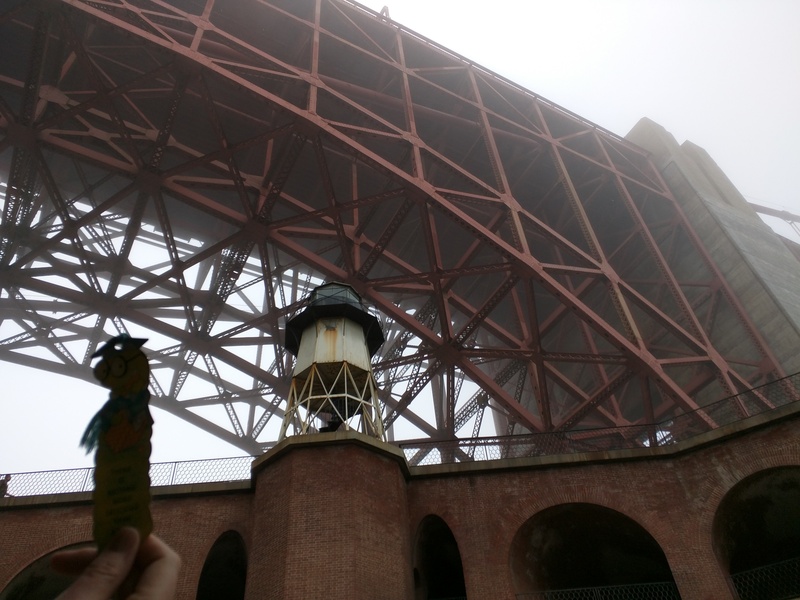 A few days ago, me and the TC climbed up to Coit Tower on Telegraph Hill and saw the frescoes on the walls of the tower. Later the same day, we had tea at the Japanese Tea Garden in Golden Gate Park. This little restaurant introduced fortune cookies to the United States. There’s even a claim that fortune cookies were invented by Makoto Hagiwara, caretaker of the Japanese Tea Garden in San Francisco. The fortune cookies and the frescoes are at opposite ends of town, so why write about them in one blog post? Purely for the sake of the alliteration. I could claim a philosophical juxtaposition of commerce and art, or of kitch and realism. But no, it’s the allure of the alliteration. That’s assonance, man. Treat yourself to a chocolate. If you’ve never had a Hershie Bar, they’re worth trying. Managing Writers, A Real World Guide to Managing Technical Documentation, by Richard L. Hamilton. Tantalising? The explanation’s in the book. My fortune cookie says “You are next in line for promotion in your firm”. Look out, all worms, here I come! Coit Tower was built in 1933 with money donated by Lillie Hitchcock Coit. Artists painted the frescoes and were paid as part of the Federal Government’s New Deal to help artists during the Great Depression. The grimmer side of life is there in the painting too. A man has been run over by a car. Also, look closely in the first picture and you’ll see that someone is picking the pocket of the man in a white coat checking his watch. Me and the TC are off to Seattle. Where it rains. Me and the TC took a trip on a San Francisco cable car. That was the most fun you can have outside a book! We’ve also ventured onto buses and trams and various other forms of transport. You know what? Everyone chats to everyone in San Francisco. My impressions? Public transport reveals San Francisco as a friendly city full of cheerful, or if not cheerful then vociferously expressive, people. Even the gripman on the cable car had a big smile for the TC. Check out the photograph below. Gripmen are a fascinating breed. Another tip: City blocks in San Francisco are long. Don’t try to walk too many of them. Zazie, a French bistro in Cole Valley. The food is divine. The TC had braised steak Marseillaise. It was so tender it fell apart at the touch of a fork. A very well organised book with plenty of information for a bookworm to get his teeth into. Behind the gripman you can see the impressive array of levers he has to manipulate. He is the dude who makes the car grab or release the cable. He also has to judge the gaps across intersections, where the cable does not run. And he has to watch out for unaware motorists and pedestrians and other mere mortals who don’t know just how out-of-control a cable car can be. Bus seats are roomy, unlike in Sydney where the TC can be heard to complain that other passengers sit on her rather than next to her. This worm is feeling magnanimous today, so here’s another tip. (This is the third one in a single blog post. Feel privileged!) To request a stop, you pull the cable that runs along above the windows. It’s not an emergency cord. Me and the TC have been in San Francisco for a couple of days now. Yesterday we encountered the World Famous Bushman. When he’s not lurking behind a bush, he goes by the name of David Johnson. My impressions? This Bushman dude knows where it’s at. Dollars roll in. Photos and a video below. Oscar Wilde is said to have said, “The coldest winter I ever spent was a summer in San Francisco.” It’s neither summer nor winter here right now, but it is cold. And very windy. I tremble in trepidation whenever the TC waves me around in search of the perfect photographic pose. If you happen to spot me blowing willy-nilly through the Californian streets, please catch me and put me into a good book. Yep, still the same book. The TC has not had much time for reading recently. This makes for a restful life for me, except when I’m hauled out for the occasional celebrity photo shoot. The World Famous Bushman skulks behind his branches on Fisherman’s Wharf. Every now and then, he leaps out and scares the unsuspecting passers-by. Funnily enough, they don’t even notice the circle of other tourists around the Bushman, waiting with drawn cameras to film the scare. Would you believe that the TC paid him $5 for a photograph and a gag? From the comfort of my book buried in her bag, I heard her engage him in conversation. Uh-oh, thinks me, here we go. He asked her where she came from. That’s when she handed over the $5. Bushman dude, you rock!